London, a historical city full of liveliness. I had a long list of itinerary and plans before I flew to Marrakech for the competition. I know it's kinda weird to transit in London when people usually transit through Dubai or France. Because of cheaper airfare $$$ and also .... a chance to fly with A380!! Due to the very short timeframe in London, we only manage to visit a few places that are listed as a "must" and also highly recommended by my friend there. Shopping was not in my list of "things-to-do". But I was lucky to be able to find "princess series" collectibles that I never miss in a souvenir shop. 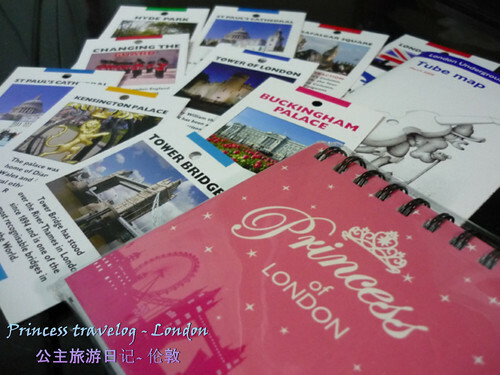 A "Princess of London" notepad! 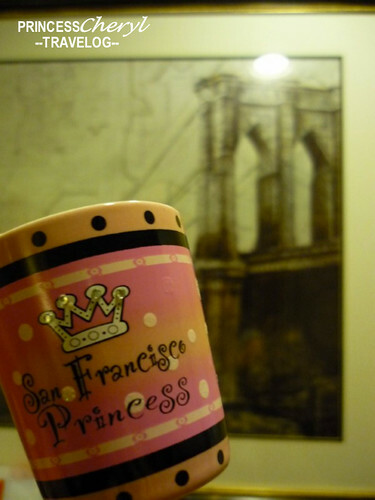 Just like what I bought for myself in San Francisco - a "Princess of San Francisco" ceramic shot cup. If you need more information on where and how to go places while you're in London, and walking the town on your own by Underground train, you can easily get some "minicards" from the hotels or guesthouses. You may find some information online too. 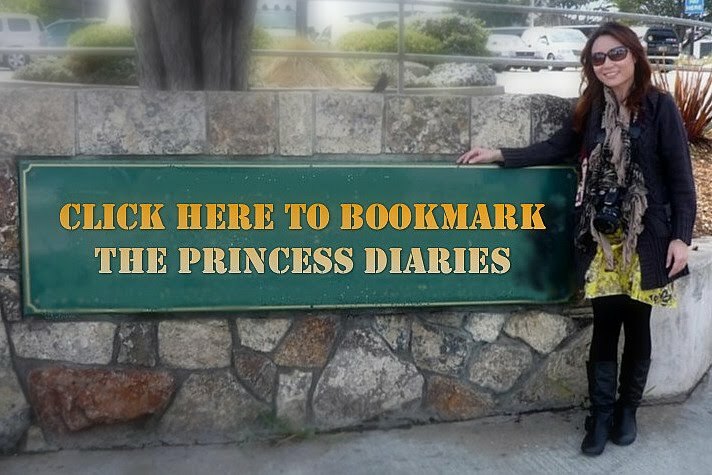 Click on the link and find the places that you're looking for in countries that you plan to visit. What a waste... But still I'm very satisfied with my 2-day-transit in London. At least I've fulfilled my dream of going to the Tower Bridge~ Shall continue the stories of walking tour in the next posts.